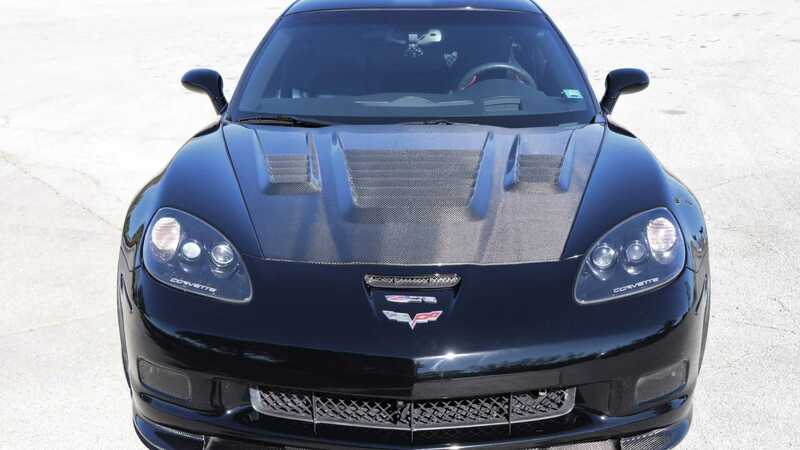 This black 2006 Chevrolet Corvette C6 Z06 is powered by a 610-horsepower, 427 cubic inches, 7.0-liter LS7 V8 built in the shop by Lingenfelter Performance Engineering and is fitted with multiple carbon fiber components on the outside. 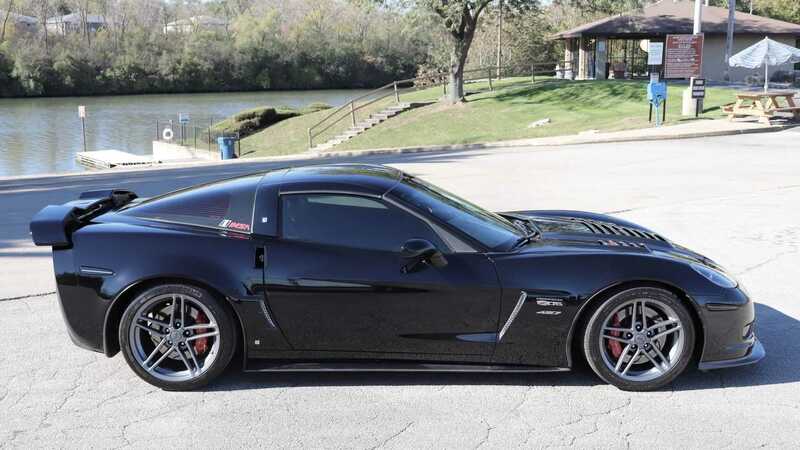 Even in its stock configuration, the Z06 was a very powerful and fast car as it packed a 427 cubic inch, 7.0-liter naturally aspirated LS7 small-block V8 which produced 505-horsepower at 6300 rpm and 470 lbs/ft of torque at 4800 rpm. 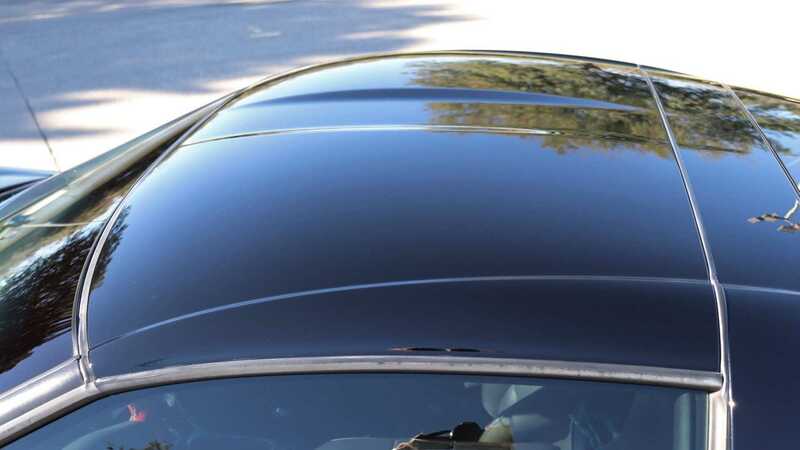 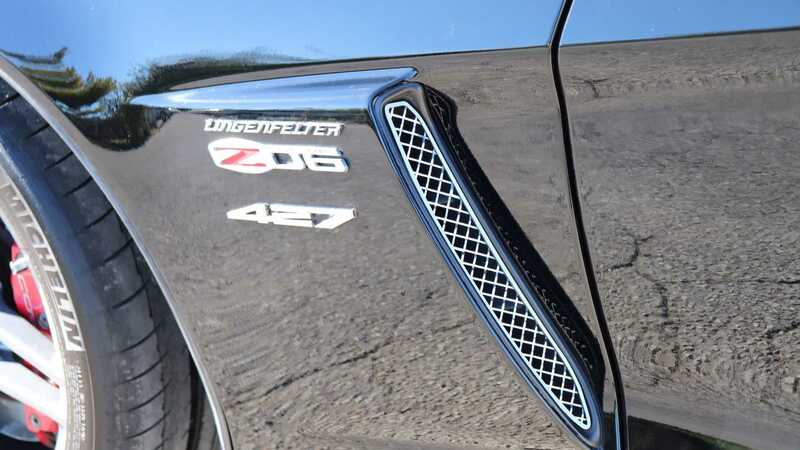 The engine sends the power to the rear wheels via a standard six-speed manual transmission. 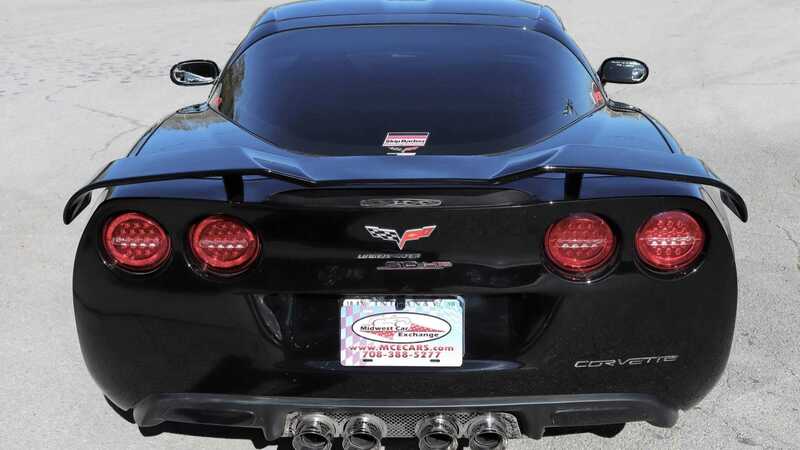 As a result, the Z06 was able to sprint to 60 miles per hour from a standstill in just 3.6 seconds and had a top speed of 198 mph. 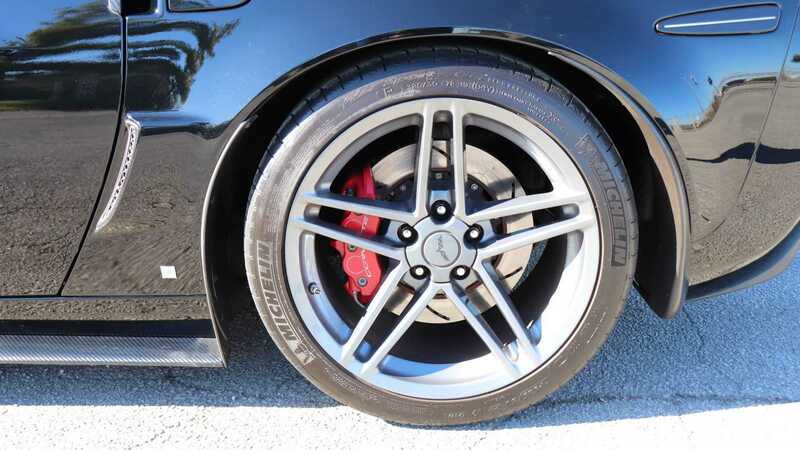 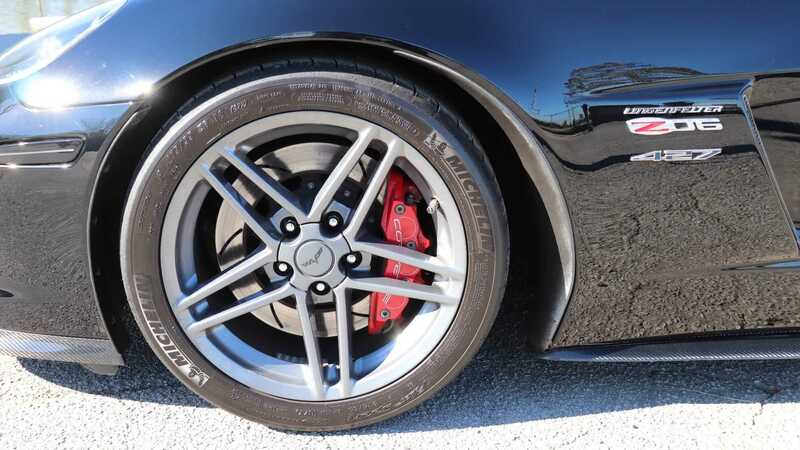 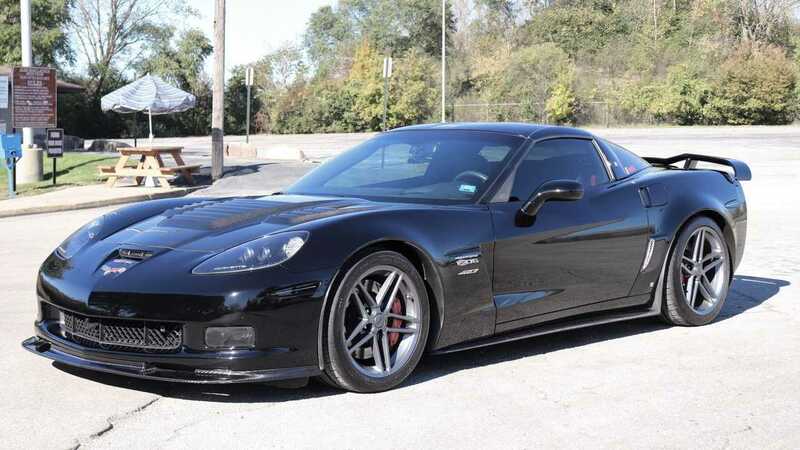 However, this black 2006 Chevy Corvette C6 Z06 currently for sale at Midwest Car Exchange in Alsip, Illinois bumps the performance threshold of the Z06 to the next level as it has been carefully tuned and massaged by the folks at Lingenfelter Performance Engineering. This Vette does retain its 7.0-liter LS7 small-block V8, but it now produces 610-hp. 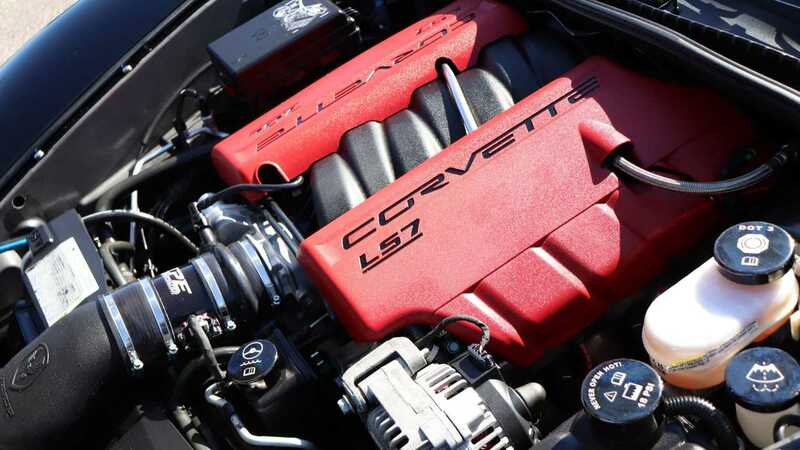 Power comes thanks in part to upgraded engine components like Lingenfelter high flow C6 Z06 air intake, Z06 GT17 camshaft by Comp Cams, four-inch diameter Lingenfelter mass air flow sensor, Lingenfelter dual valve springs, and many other performance components. 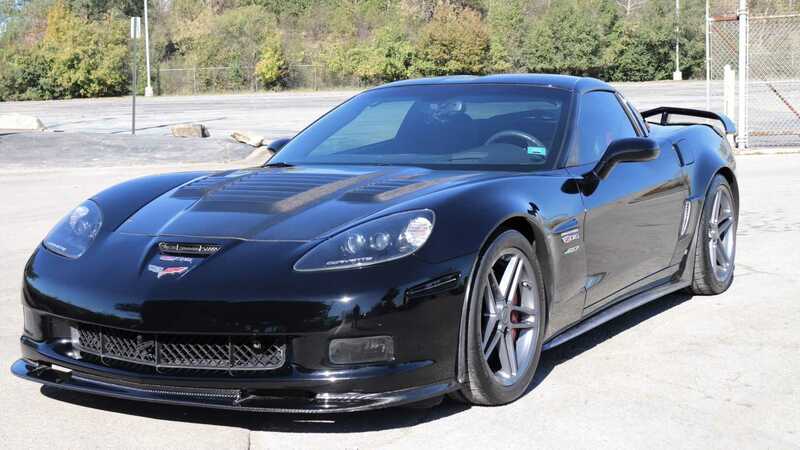 In addition to the performance goodies under the hood, this C6 Z06 is also fitted with a heavy-duty, high-performance aluminum radiator, new heavy duty clutch plates, and new catalytic converters. 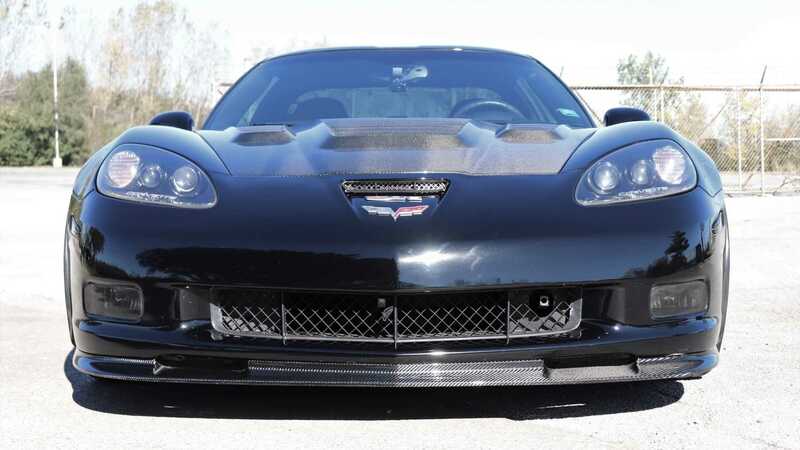 On the outside, this 2006 Corvette Z06 can be easily distinguished from lesser Corvette C6 variants as this car is fitted with Katech carbon fiber front splitter and side skirts, Carbon Fiver hood and vents, Corsa performance exhaust system, LED side marker lights, LED taillights, and a fiberglass rear wing for additional downforce. 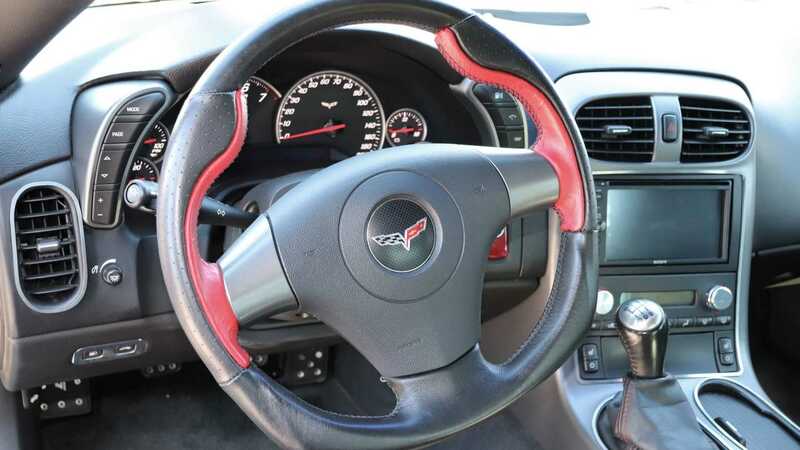 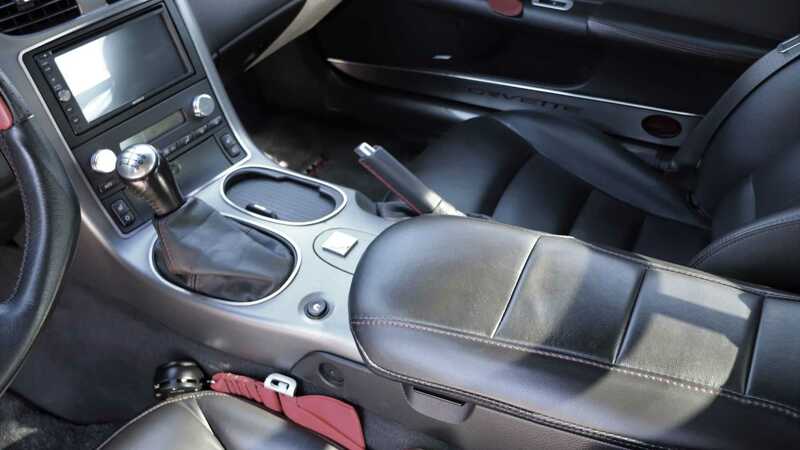 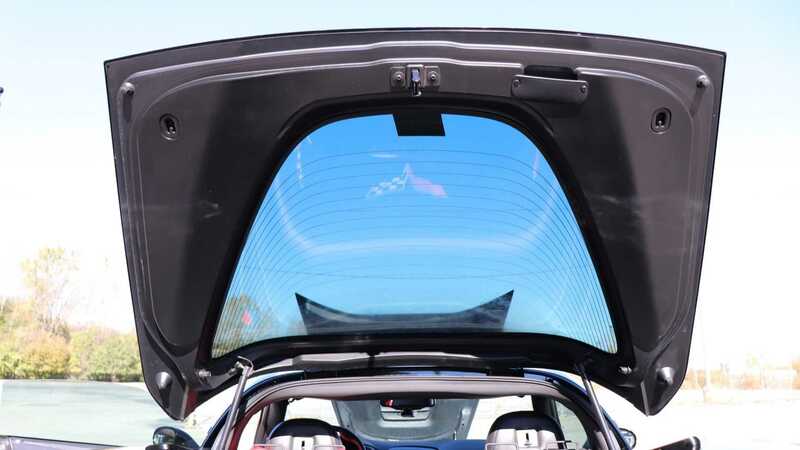 Inside, the Corvette Z06 is fitted with a custom black and red flat-bottom steering wheel, black leather bucket seats, Sony AM/FM/CD/DVD head unit which is compatible with Apple Car Play and has Sirius/XM HD radio along with Bluetooth. 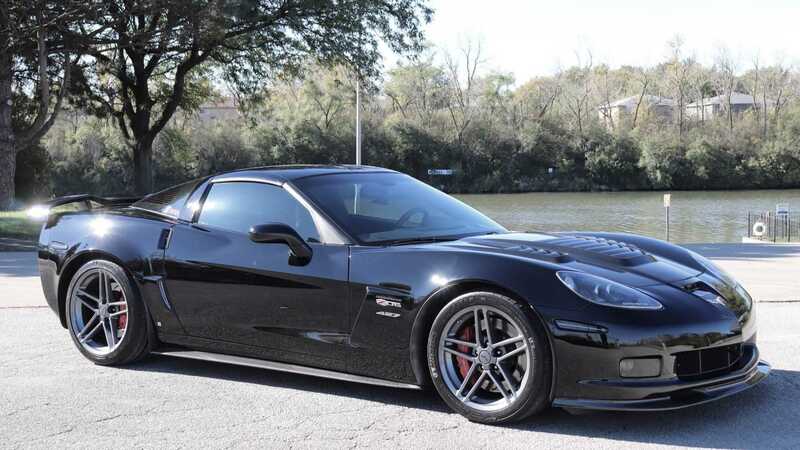 This 2006 Chevrolet Corvette C6 Z06 tuned by Lingenfelter Performance Engineering with 30,900 miles on the odometer is currently for sale at Midwest Car Exchange for $39,900. 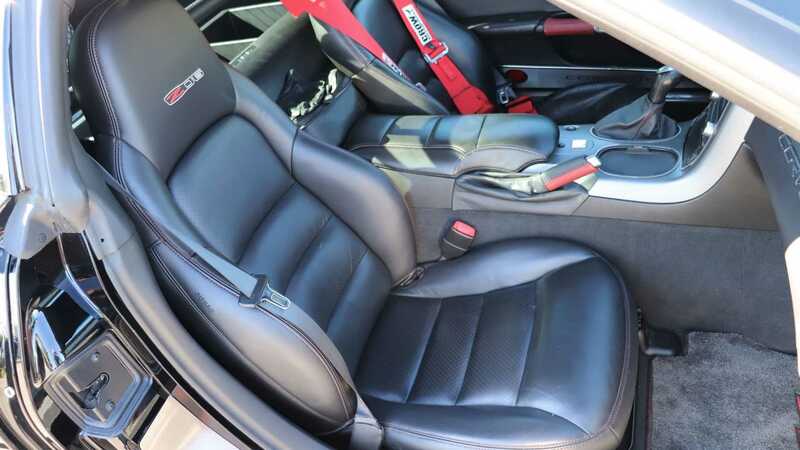 However, it does look like the dealership is willing to entertain any reasonable price offers as well.